On February 28, the Public Utility Commission adopted a Final Supplemental Implementation Order that addresses enhanced procedures for how acquiring public utilities or entities are to prepare and submit applications to acquire and value municipal and authority-owned water and wastewater systems under Section 1329 of the Public Utility Code. The Commission voted 5-0 to adopt the Final Supplemental Implementation Order, following the detailed review of public comments on the proposed changes to procedures and guidelines. Signed into law as Act 12 of 2016, Section 1329 of the Public Utility Code addresses the sale of water and wastewater systems owned by municipal corporations or authorities by providing a process for the sale of public water and wastewater assets at fair market values. -- Procedures for notifying all potentially affected consumers, including non-binding estimates of likely incremental rate effects to the ratepayers of the acquired and acquiring utility systems. -- An Application Filing Checklist. -- Application Standard Data Requests. -- Additional Guidelines for Utility Valuation Experts. -- Guidelines for testimony submitted by Utility Valuation Experts. On February 28, the Public Utility Commission approved an Order requesting comments on a proposed policy statement designed to strengthen consumer protections for Customer Assistance Program (CAP) customers participating in the state’s retail electric market. The Commission voted 5-0 to solicit comments on the proposed policy which would establish uniform guidelines for electric distribution companies’ (EDCs’) CAP shopping programs. -- A requirement that the CAP shopping product has a rate that is always at or below the EDCs’ PTC(s) over the duration of the contract between the EGS and the CAP participant. -- A provision that the contract between the EGS and the CAP participant contains no early termination or cancellation fees. -- A provision that, at the end of the contract, the CAP participant may re-enroll with the EGS at a product that meets the same requirements as outlined in numbers 1 and 2 above, switch to another EGS offering a product that meets those requirements or be returned to default service. Additionally, the Commission asks whether any party believes that it can show that there is a reasonable alternative to the program described above, where harm will not be incurred by either CAP or non-CAP customers, they are free to propose such a model. Interested parties have 45 days from the publication of the Order in the Pennsylvania Bulletin to provide written comments to Secretary Rosemary Chiavetta, Pennsylvania Public Utility Commission, 400 North St., Harrisburg, PA 17120. Written replies to filed comments must be submitted with 60 days of the date of publication. Comments may alternatively be filed electronically through the Commission’s e-File system. In a related matter, the Commission voted 5-0 to set rules and procedures for the CAP shopping program and scripting for the FirstEnergy Customer Referral Program (CRP). Prior to issuing today’s proposed policy statement, the Commission had ordered modifications to FirstEnergy’s CAP shopping program to be implemented on or before June 1, 2019. Modifications to FirstEnergy’s CAP shopping program are consistent with the proposed policy statement issued for comment. 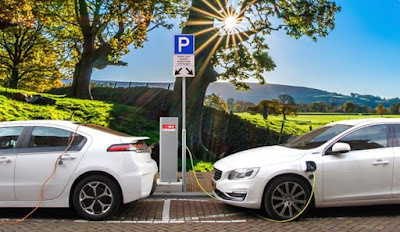 On February 28, the Public Utility Commission approved filings by the four FirstEnergy electric distribution companies serving Pennsylvania, which will help remove uncertainty and potential barriers to the deployment of third-party electric vehicle (EV) charging stations in their service territories. The Commission voted 5-0 to approve supplements to tariffs which were filed by Metropolitan Edison Company (MetEd), Pennsylvania Electric Company (Penelec), Pennsylvania Power Company (Penn Power) and West Penn Power Company (West Penn Power), in response to an EV policy statement adopted last year by the PUC. The Commission’s November 2018 policy statement was designed to help promote increased investment in EV charging infrastructure in the state by reducing regulatory uncertainty and providing greater consistency among electric distribution companies (EDCs). The policy statement clarifies that third-party electric vehicle charging is providing a service, and not considered resale of electricity under the Public Utility Code. EDCs were directed to amend their tariffs to address third-party EV charging stations consistent with the new policy. As the Commissioners noted in November, technological advancements, including a growing number of electric vehicles, are transforming the electric consumption of consumers and impacting the grid as a whole – and it is important for utilities to adapt their infrastructure and tariff structure to address these changes. The FirstEnergy tariff supplements approved today by the Commission are the first to be considered under the PUC’s policy statement regarding EV charging infrastructure. The Pocono Environmental Education Center and its partners are hosting an Angling & Hunting For Conservation Program March 23 at the Center, 538 Emery Road in Dingmans Ferry, Pike County from 10:00 a.m. until 2:15 p.m.
-- Michele Long, Executive Director Pike County Conservation District, presenting "Manage Your Woodlands For Water Quality;"
-- Chris Barrett, President/CEO Pocono Mountains Visitors Bureau, "Pocono Mountains Anti-Litter Campaign" presentation. Click Here to register. Click Here to download a flyer on the program. 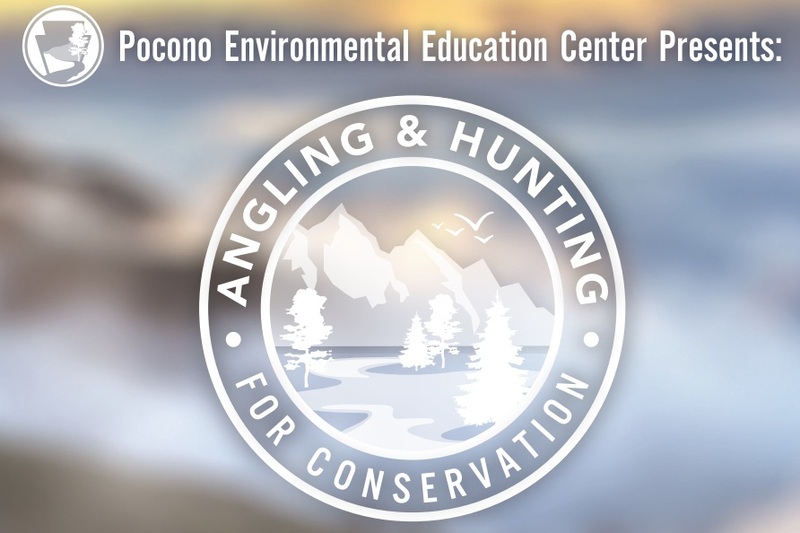 For more information on programs, initiatives and other upcoming events, visit the Pocono Environmental Education Center website. On February 28, Backcountry Hunters and Anglers, Ducks Unlimited, National Wild Turkey Federation, Pennsylvania Council of Trout Unlimited, Pennsylvania Federation of Sportsmen and Conservationists, Pheasants Forever/Quail Forever, Quality Deer Management Association, Rocky Mountain Elk Foundation, Theodore Roosevelt Conservation Partnership, Trout Unlimited, and United Bowhunters of Pennsylvania wrote to members of the House and Senate opposing Gov. Wolf’s proposal to use money from environmental funds to pay the operating expenses of DEP and DCNR. “We are dismayed that the Governor’s budget proposal would redirect much-needed resources from the ESF [Environmental Stewardship (Growing Greener)] and the Keystone [Recreation, Parks and Conservation] Fund in order to pay for state government operations in the coming fiscal year. 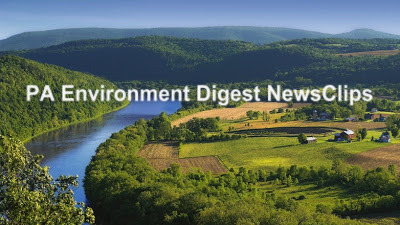 “We appreciate the need for the Commonwealth to properly fund the Departments of Environmental Protection (DEP) and Conservation and Natural Resources (DCNR). The work of those agencies is critical to ensuring healthy fish and wildlife habitat and plentiful outdoor recreational opportunities. “However, these resources should come from the General Fund—not from dedicated sources established to support local, on-the-ground projects that conserve and restore our waters, set aside natural lands, and support state parks and recreation. “In particular, the sportsmen and women represented by our organizations want to see more resources—not less—for the ESF, which funds the highly successful Growing Greener program. “In 2018, a statewide poll conducted for the Theodore Roosevelt Conservation Partnership found that 80 percent of hunters and anglers support funding the Growing Greener program at $200 million annually. Under the Governor’s budget, expenditures for this critical work would be cut to $65 million in the coming year. Together, members of these organizations have contributed tens of thousands of hours of volunteer work to help restore Pennsylvania’s stream, woodland and lake habitats. They are doing more than their share to restore Pennsylvania’s environment. 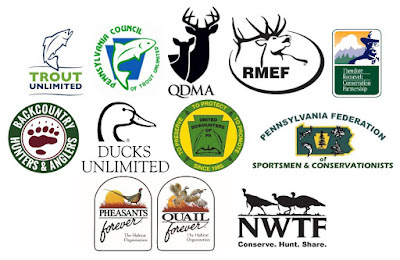 This unprecedented coming together of hunting, angler and wildlife groups (Pennsylvania's first environmentalists), joins Pennsylvania’s major environmental, recreation and mine reclamation groups in opposing the use of Environmental Stewardship and Keystone Fund project monies to pay the operating expenses of DEP and DCNR. 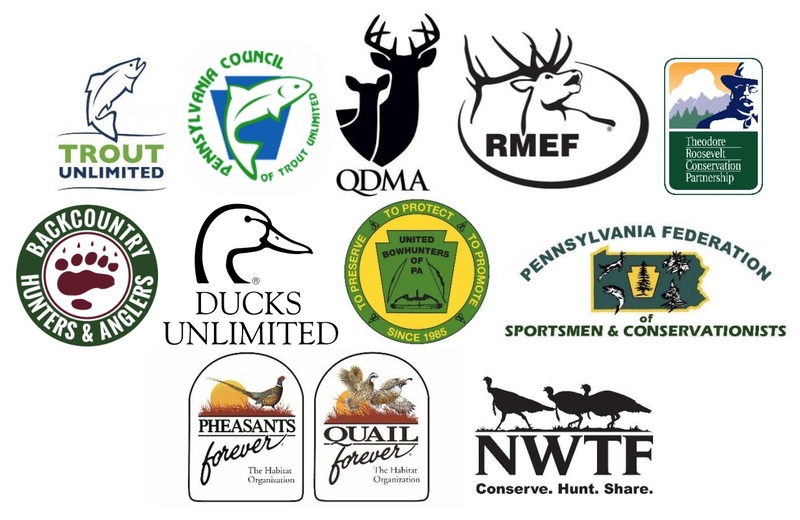 On behalf of the undersigned groups representing thousands of Pennsylvania sportsmen and women, we are writing today with major concerns about future funding for the Environmental Stewardship Fund (ESF) and the Keystone Recreation, Park and Conservation Fund. We value the projects funded by these programs that restore fish and wildlife habitat, improve sportsmen’s access to streams and forests, and enhance the conservation efforts of the Commonwealth’s independent fish and game agencies. We are dismayed that the Governor’s budget proposal would redirect much-needed resources from the ESF and the Keystone Fund in order to pay for state government operations in the coming fiscal year. We appreciate the need for the Commonwealth to properly fund the Departments of Environmental Protection (DEP) and Conservation and Natural Resources (DCNR). The work of those agencies is critical to ensuring healthy fish and wildlife habitat and plentiful outdoor recreational opportunities. However, these resources should come from the General Fund—not from dedicated sources established to support local, on-the-ground projects that conserve and restore our waters, set aside natural lands, and support state parks and recreation. In particular, the sportsmen and women represented by our organizations want to see more resources—not less—for the ESF, which funds the highly successful Growing Greener program. In 2018, a statewide poll conducted for the Theodore Roosevelt Conservation Partnership found that 80 percent of hunters and anglers support funding the Growing Greener program at $200 million annually. Under the Governor’s budget, expenditures for this critical work would be cut to $65 million in the coming year. These ESF has provided critical seed money to conserve more than 80,000 acres of open space, restore more than 1,600 acres of abandoned mine lands, and fund 400 projects to reduce flooding and improve water quality. The Keystone Fund has leveraged $1 billion to complete more than 5,000 projects. Every dollar from the ESF is matched by at least another dollar in additional investment; usually, the multiple is higher: Trout Unlimited, for example, raises another two dollars for every dollar invested by Growing Greener into its abandoned mine drainage (AMD) cleanup projects. Since 1993, every dollar spent from the Keystone Fund has leveraged three additional dollars. These investments in our natural resources pay dividends. Healthy waterways are a critical component of Pennsylvania’s $28 billion outdoor recreational economy, which supports 390,000 jobs. Hunters and anglers alone contribute $1.3 billion to the Commonwealth’s bottom line. -- Sportsmen’s access and headwaters protection: The Keystone Fund helped the Wildlands Conservancy and its partners acquire the 500-acre Klondike property, which was turned over to the Pennsylvania Game Commission (PGC) to expand State Game Lands 312. Local chapters of Trout Unlimited, the National Wild Turkey Federation, the Ruffed Grouse Society, and the Pennsylvania Federation of Sportsmen and Conservationists contributed to the purchase. This acquisition did not just provide public access to land where hunters can pursue deer, turkey, and grouse, but it also protected the headwaters of the Lehigh River, a popular destination for anglers and a source of drinking water for thousands of Pennsylvanians. The ESF and the Keystone Fund also helped to preserve a 1,600-acre stretch of Blue Mountain that is open to seasonal hunting, and the headwaters of the Letort Spring Run, a spring creek in Cumberland County with Class A wild trout status and international renown. -- AMD cleanup: Since 1999, Trout Unlimited has been at work in the Kettle Creek watershed in Clinton, Potter, and Tioga counties, where coldwater streams were severely degraded by 19th century coal mining and clearcutting. Two decades of abandoned mine drainage (AMD) cleanup, habitat restoration, and streambank stabilization projects have improved water quality and heralded a rebound in the watershed’s native brook trout population. TU is also providing technical assistance to dozens of groups working in their own watersheds at hundreds of sites to clean up some of Pennsylvania’s 5,600 miles of AMD-impaired streams. In Centre County, Growing Greener helped the PGC and the Rocky Mountain Elk Foundation reclaim 40 acres of abandoned mine lands on State Game Lands 100, providing grasslands for elk, deer, turkey, and other species, and treating AMD pollution on Contrary Run. -- Agricultural conservation: On Warrior’s Mark Run, a wild trout water in Huntingdon County, the conservation district used ESF funding to help two local farmers protect the stream from grazing cows and their nutrient-rich manure. The project, which included streambank restoration and installation of 10,000 feet of fencing and cattle crossings, provided multiple benefits: It ensured both a healthy fish population and improved water quality for downstream drinking water supplies. -- Stream restoration: In Lancaster County, the ESF provided portions of the funding for an ambitious restoration of Lititz Run that featured streamside buffer plantings, wetlands reconstruction, cattle fencing, streambank stabilization, in-stream restoration, and stormwater management improvements. The projects completed over the course of a decade led to improved water quality, lower stream temperatures, and a rebounding trout population. In Tioga County, the ESF helped finance restoration on Mill Run, eliminating downstream sediment buildup and enhancing the trout population. Construction of a fishing path provided better access for anglers, including those with disabilities. Much has been accomplished by projects funded by the Environmental Stewardship Fund and the Keystone Fund, but much remains to be done. Pennsylvania has 19,000 miles of impaired streams and rivers, more than 180,000 acres of abandoned mines. Thousands of acres of fish and wildlife habitat that sportsmen and women cherish are in need of conservation. We urge you to work with your colleagues to craft a budget plan that leaves the ESF and the Keystone Fund intact, and going forward, to identify new sources to support the important and necessary work for which these funds were created. Middle Creek Snow Geese: The Birds Are Here!